Description : We took advantage of a beautiful fall day for a photo outing to the Toronto Islands. On our way, we passed by the scene of an accident which happened the night before. A small plane carrying a group of friends back from a hunting expedition had skidded off a runway at Toronto Island Airport. 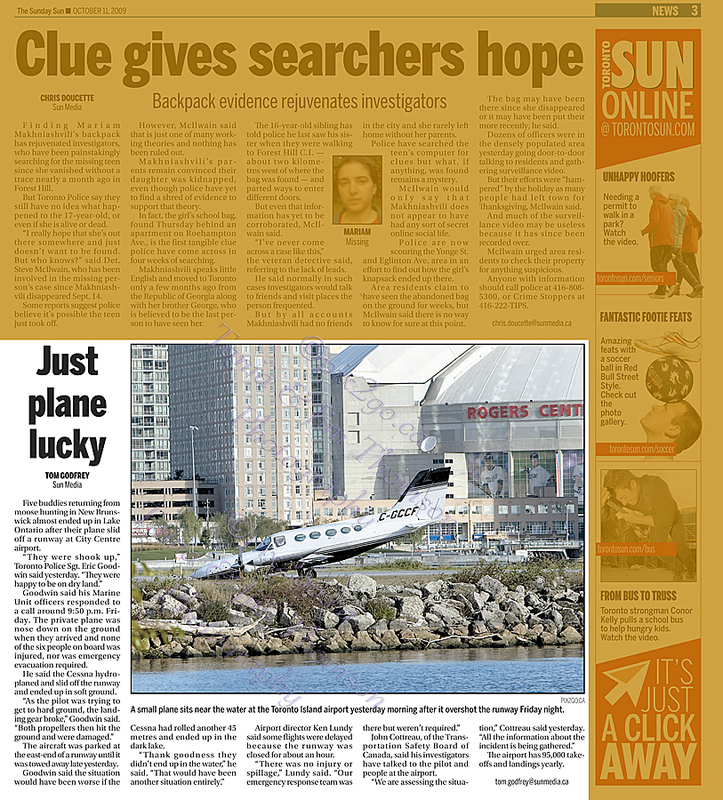 Luckily the pilot managed to halt the craft before it plunged into Lake Ontario.